Our classes are designed to provide quality training and relationship building for you and your dog. Each class requires preregistration a week before class sessions begin. We require a registration form to be filled out and vaccination records be current at the start of classes. Our classes are created with limited space to ensure the safety of your dog and attention to each individual student during class. We believe in quality over quantity and working to achieve the goals you have for you and your furry companion. We work closely with each student to create a strong bond and fun working environment. 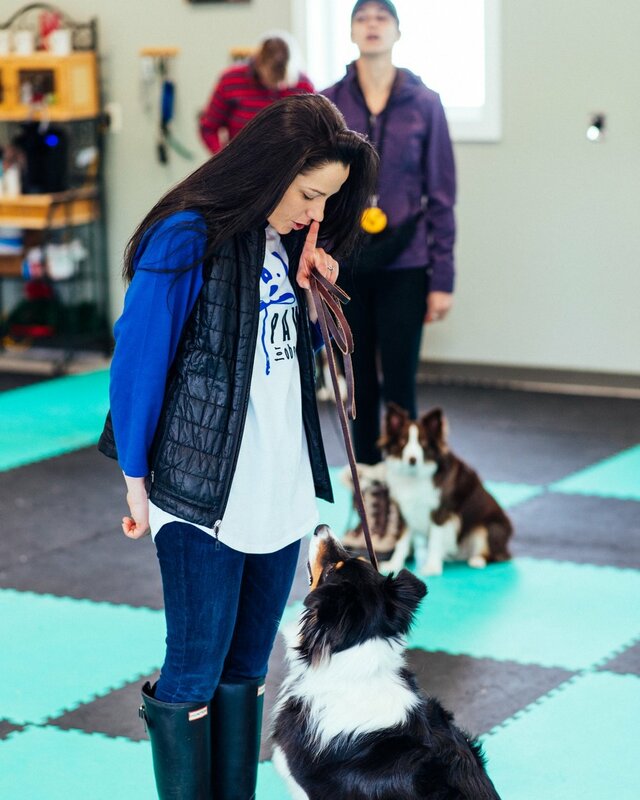 Lora and Bri offer multiple training services ranging from in-home private lessons to group classes including, but not limited to, therapy dog prep, basic obedience, advanced off leash obedience, and competitive sports. Seminars and WOOFshops are held the second Saturday of every month. Each month we focus on educating the public of various topics of interest. Each month we will announce the workshop; no registration is required and it is also open to the public. Each workshop/seminar is an hour and a half long and $20 to attend. Our certifications may be included in your class. If you are interested in just obtaining a certification please contact us to set up a consultation. All certifications will be held at the facility and do require an appointment. All behavioral training, in-home, e-collar, and reactive dog training will be referred out to our behavior guru, Bri Rabine. Our introductory classes are perfect for you and your companion to get started on your journey towards obedience. Our intermediate level courses aim to give your companion the essential tools it needs to be obedient. Our advanced level classes are for experienced dogs and handlers who want to take their companionship to the next level. Our Specialty classes are perfect for a companion and handler who want to grow together and with others.